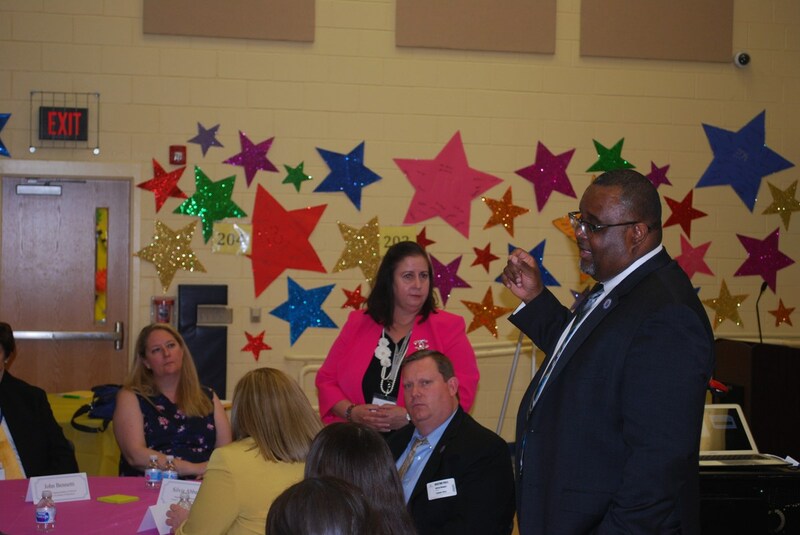 New Jersey Acting Commissioner of Education Lamont Repolet and his top associates recently visited Union City Schools where they conducted a focus group study with the District’s top administrators, parents, and students. The aim of the focus group study is to determine how best to make changes to the State’s standardized exams (PARCC). 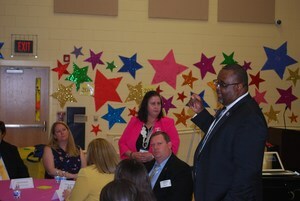 Union City was the first stop on a statewide tour to visit school districts in every one of New Jersey’s 21 counties. On behalf of the Board of Education, Superintendent of Schools Silvia Abbato welcomed the Acting Commissioner and his top staff to the Eugenio Hostas Early Childhood Education Center. “On behalf of the Board of Education, we are honored that you chose Union City for your very first stop on this tour,” said Ms. Abbato.